(Bloomberg) -- Ivan Duque, a young pro-business lawyer who’d like to undermine parts of a peace accord with Marxist guerrillas, heads into Colombia’s presidential runoff next month with a commanding lead over a leftist rival, calming financial markets but setting up a polarizing election. 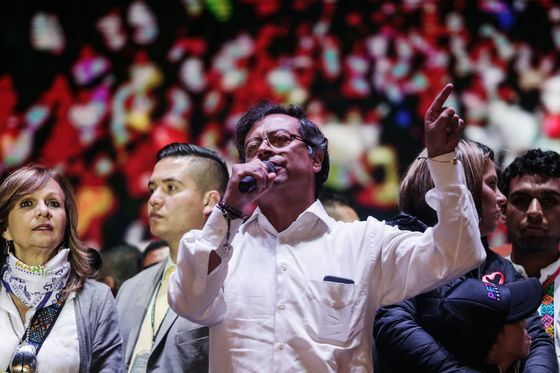 Duque won 39 percent in a first round on Sunday, with Gustavo Petro, a former guerrilla and Bogota mayor, taking 25 percent. This creates a stark choice on June 17 between a market-friendly conservative and a tax-the-rich advocate for the country’s poor. While Duque, 41, frightens some for his opposition to the accord and close association with former President Alvaro Uribe, seen by many as having authoritarian tendencies, Petro frightens even more because of his enthusiasm for the late Hugo Chavez of Venezuela, who stripped its legal and media institutions of their independence. For decades, the violence of the Fuerzas Armadas Revolucionarias de Colombia, or FARC, who turned vast swaths of territory into no-go zones, served as a terrifying backdrop to Colombian politics with kidnappings, bombings and a never-ending sense of threat. Since the 2016 accord between the FARC and President Juan Manuel Santos, who won a Nobel Peace Prize for his efforts, public discourse has shifted further toward employment, health care and corruption, giving the country a sense of normality. High-end restaurants and cafes are filled with well-traveled patrons chatting on the latest smartphones. But there is a second Colombia, in the urban outskirts and the countryside, where infrastructure is failing miserably, jobs are scarce and private armies deal in cocaine and illegal gold. It is this other population, left behind and resentful, that has found a champion in Petro, 58, who calls for raising taxes on the wealthy and a shift in land ownership and use. U.S. markets are closed today for the Memorial Day holiday, but the peso strengthened slightly in next-day trading. 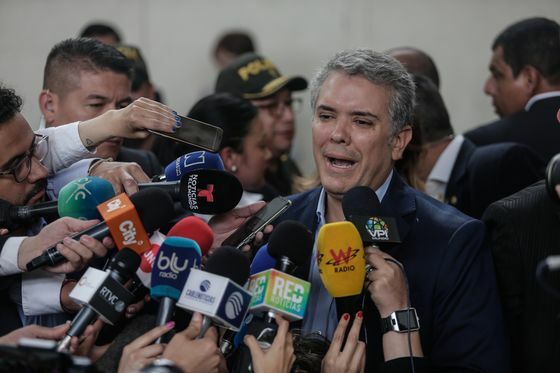 Investors generally welcome Duque’s win, while others in Colombia worry that he could slow-walk the implementation of the accord that he considers too soft on the guerrilla leaders. Duque may also seek to extradite FARC leaders to the U.S., which could cause more demobilized rebels to give up on the peace process and return to the jungle. Petro backs the accord. The winner next month will also have to contend with a series of real challenges: hundreds of thousands of hungry Venezuelans pouring across the border, the huge increase in cocaine production and a lackluster economy. But the long-term picture in Colombia appears fairly bright with strengthening institutions and a vote of confidence from the world’s rich countries which just admitted it into the Organisation for Economic Co-operation and Development. Apart from Chile, it’s the only South American nation granted that status.